THE TAPAS 9 - KATE MCCANN: #McCann : Kate McCann - Her Bruises Explained Away By Her Very Good Friend Fiona Payne. #McCann : Kate McCann - Her Bruises Explained Away By Her Very Good Friend Fiona Payne. 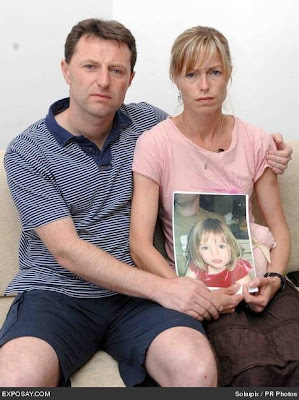 Kate McCann was frightened and the sensation of not being able to do anything made her angry, howling and punching and kicking walls – the reason why she was covered in bruises the next day, according to the statement of Fiona Payne. Questioned if the twins didn't wake up, at all, she said they didn't and Kate kept going into the twins, kept putting her hands on the twins to check they were breathing, as she seemed very much concerned in checking they were okay. Fiona Payne remembered that the twins never wake up, with all the noise, the screaming and the shouting, not even when police came and the lights were turned on – something that she thought, at the time, was weird.